... so you can segment your audience and create stronger marketing campaigns. But how do you start researching and creating these personas from scratch? 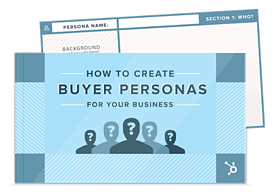 Our partners at HubSpot created a great template for determining your buyer personas. Download it by filling out the form on the right. If you get stuck, and/or have questions, please email us at: Info@leadingresults.com.